The cryptic announcement on February 15 by the Pakistan military’s Inter-Services Public Relations (ISPR) Directorate was stunning even for an informed intelligentsia to whom stunts have long been a staple diet. It said Pakistan would send more troops to its brotherly Saudi Arabia. 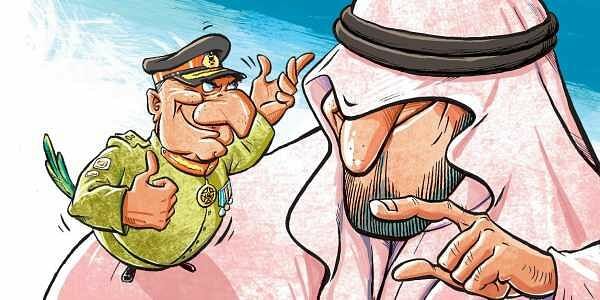 That the news of Pakistan rushing to aid the Saudi kingdom came from the military establishment and not its political government was no surprise to pundits; they have known it for a fact that civilians have long abdicated their privilege to the brass on sensitive foreign relations. And other than the thorny relations with India—and lately with the US—nothing qualifies for being more sensitive than military assistance to Saudi Arabia. The trail goes back three years. It began with the Saudi invasion of Yemen, in March 2015, to teach its Houthis—detested by Saudi Arabia’s Wahhabis for their Shia faith—a lesson for allegedly acting as Iranian proxies. The invasion soon turned into a botched adventure. Hobbled by their flight of hubris going wrong, the Saudis cast their eyes around for help. They needed someone to bail them out. And Pakistan was their first choice. There was precedence for it. Pakistan had rushed to their help, in 1979, when the Holy Mosque in Mecca had been taken over by religious fanatics acting as vandals. It was a noble mission to the Pakistanis—it had faith written all over it.But the Pakistani legislators weren’t enamoured of the Yemeni imbroglio. They didn’t want Pakistan sucked into that quagmire. The bottom line to them was: Pakistan had no business in a game of brinkmanship between Iran and Saudi Arabia for regional supremacy. So the Pakistan parliament, through a unanimous resolution of its two houses, tied the hands of Nawaz Sharif government from sending any troops to Saudi Arabia. Surprisingly the military establishment too chimed in with the parliament and was lauded by all and sundry for its courageous stand in foiling Saudi pressure. But the Saudis didn’t relent; they wouldn’t take no for an answer from Pakistan. Their arm-twisting and cajoling acquired different tactics. The first success came to them last year when retired military chief Raheel Sharif—who at the helm of Pakistan army had resisted the Saudi demand for help—accepted the command of a Saudi contraption, going by the name of ‘Islamic Military Counter-Terrorism Coalition (IMCTC). It’s still dismaying to many in Pakistan, who had earlier hailed General Sharif for standing up to the Saudis that he swallowed their bait of a sinecure position and heads what’s still a ghost army. But the Saudi success with the current military establishment in Pakistan is far more stunning, and dismaying too, to those who took pride in Pakistan’s independent position of taking no sides between Saudis and Iranians. The Pakistani military brass, bypassing the parliament and ignoring the red line drawn for it, seems intent on flouting a fundamental maxim of Pakistani foreign policy to not become partisans in intra-Muslim feuds. The Saudi misadventure in Yemen isn’t only about regional geopolitical tussle; it’s much more than that. It’s a sectarian feud between a Wahhabi Saudi Arabia and a Shia Iran.Pakistan is neither Wahhabi nor Shia. On the sectarian scale it has more Shias than Wahhabis in its poly-ethnic mix of Muslim sects. Besides, Pakistan shares a long land border with Iran and ethnic problems on both sides of the Iran-Pakistan border have plagued both countries for long, more so Pakistan than Iran. The pundits have little doubt that by becoming Saudi votaries Pakistan will be putting a huge question mark over its ties with Iran; the parliament deemed it ill-advised but has been overruled by the military establishment. The incumbent military head honcho, General Qamar Bajwa, visited Riyadh twice in the last two months to confab with the Saudi heir-apparent, Prince Mohammad bin Salman. The young prince is the architect of the Yemeni adventure. His ambitions have already caused ripples around the Gulf. The blockade of ‘brotherly Qatar,’ next door to Saudi Arabia is another of his overly ambitious ventures which, like Yemen, is going nowhere. General Bajwa has apparently no beef with the adventurous Prince MSB on either of his outreaches. But he did visit Qatar, secretly, to brief its Emir on what was on his mind vis-a-vis the Qatari tormentor Saudi Arabia.And how many troops would make the fresh contingent? The ISPR announcement said it will be less than a military division, which has 12,000 soldiers at the very least. The brass says these thousands of Pakistani troops will be in the Saudi kingdom for only “training and advice.”However, up until this point, the training and advice work has been carried out by only one thousand Pakistani men in uniform who have been there for years. What has prompted the need to beef up their ranks so exponentially? Those with a keener sense of geopolitical sensitivities at stake in this brash undertaking can’t help being alarmed that in succumbing to Saudi pressure, the Pakistani military establishment may have bitten more than it could possibly chew. The road ahead is rife with myriad imponderables; too many trap doors, not yet in sight, waiting to throw the entire undertaking off course. The internal dynamics of Pakistani politics—with an apex court-disqualified Nawaz Sharif relentlessly waging a verbal crusade against the rule of law—have no doubt impacted and catalysed the military brass’ quixotic plunge into untested waters. Who may ultimately pay the price of it remains undecided.